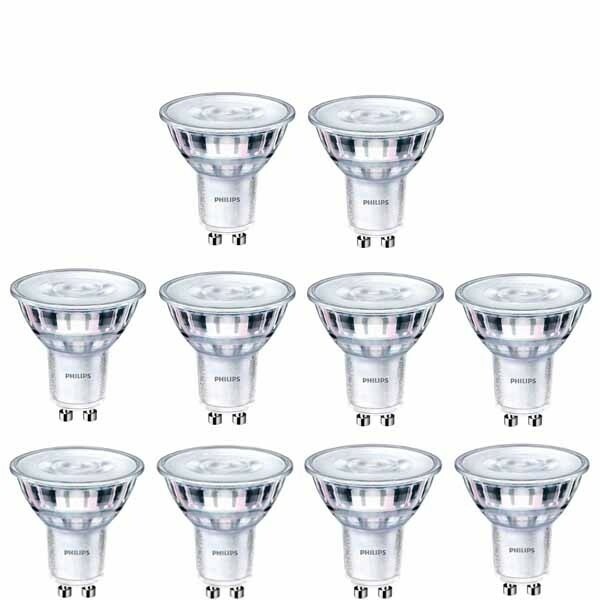 Our 10 pack Philips Corepro LEDspot 5W-50W GU10 are fully dimmable LED Spotlights that directly replace 50w Halogen GU10 Spotlights. They produce a 3000 Kelvin cool white light. The 36 degree beam angle means that they are ideal for general spotlighting applications.